What can I do with geofences? Your employees can be assigned multiple geofences, and you can also use our IP Lock feature with geofences, so as long as they’re within one or the other, they’ll be allowed to punch in. For more on the feature please see our help article. 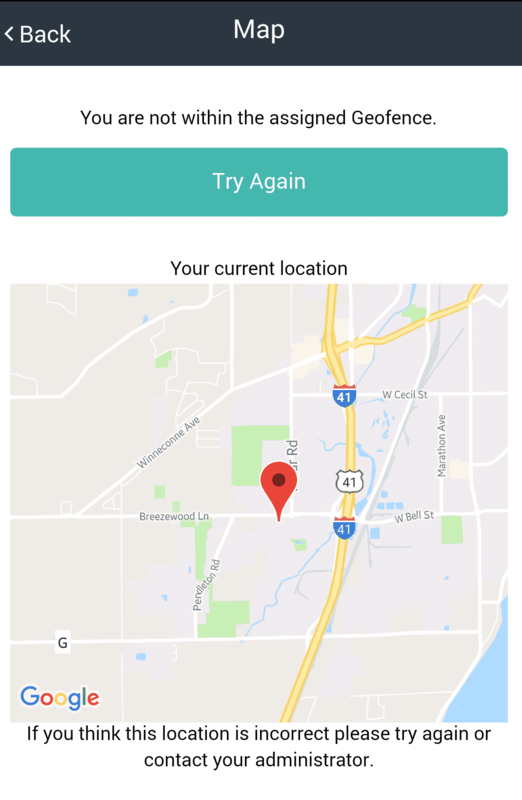 If any of your employees try to punch in or out outside of the radius of a geofence, they will be presented with a notification informing them that they are not within their assigned geofence. They will also be shown with a map of their current location. Customization is important as we know there is not a one size fits all solution for each business. 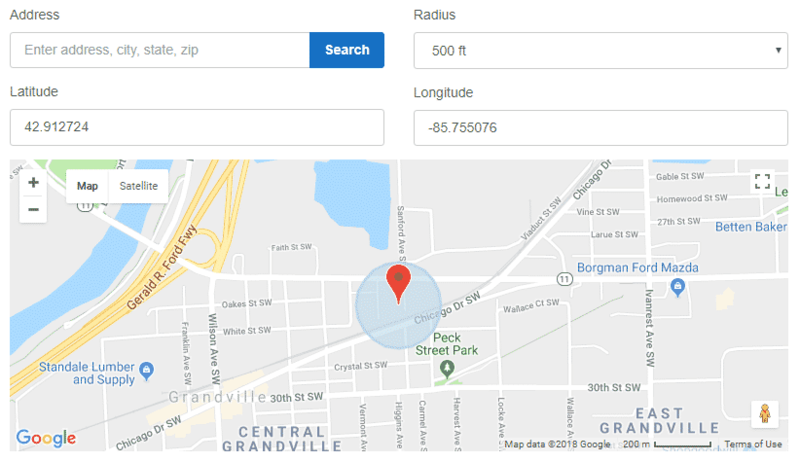 With our geofences feature, you are able to select from multiple different radius sizes including 150 feet, 500 feet, 1,000 feet, 2,000 feet, and 5,000 feet. The smaller radius options are great for small office settings whereas the larger radius options are great for employees that are out in the field and may not punch in or out at an exact location. Plenty of options to meet the needs of your business. Want to make the punching process even easier for your employees? Then take advantage of our auto-assign feature. With the auto-assign feature you can associate a geofence with a location, department or both. 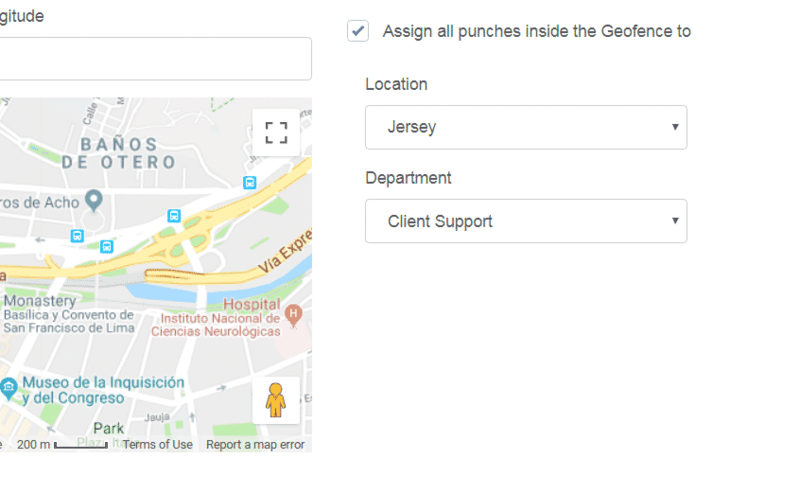 When an employee goes to punch in, they will no longer need to select a location or department code from a list as they will be automatically assigned. The amount of time spent at each location or department will be shown on the employees time card. Looking for a way for you and your employees to sign in quickly without hassle? Our Single Sign On feature can help you achieve that! You can easily link your Google account with Buddy Punch in just a few simple steps. In addition to Google single sign on, we offer several other single sign on options including Okta, OneLogin, and Saml 2.0 to ensure we cover all the needs of your business. Make the punching process easier, more secure, and hassle free by taking advantage of our single sign on feature.